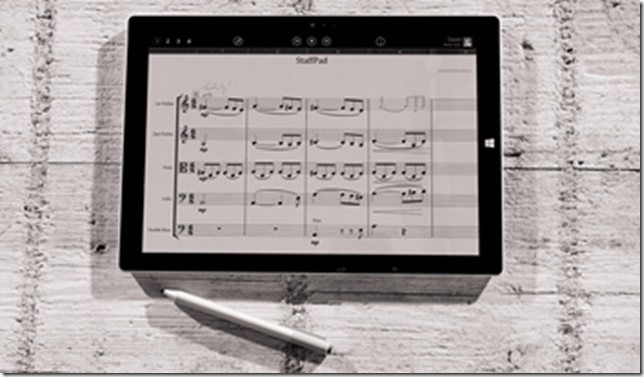 I’m very excited today to see the launch of StaffPad, a groundbreaking music notation application from the UK which features advanced handwriting recognition that allows you to write music naturally with a pen and play it back in high fidelity. For me, it’s great example of what Windows can do to drive productivity in specific scenarios that matter by taking an approach that makes computing ‘more personal’ with a big part of that being around natural interaction with software. Productivity isn’t just about Word and PowerPoint. It’s also a great example of a professional-grade music tool being sold from the Windows Store. 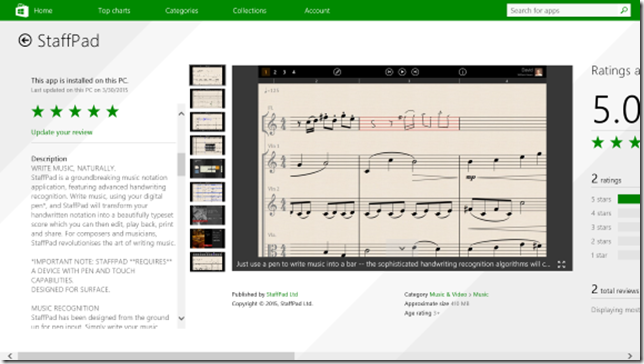 Put simply, StaffPad is one of the best applications that I’ve seen for Windows Store and that’s especially true when I consider that it’s built by an independent software company. I’ve been working with the guys from StaffPad for the best part of the last year and I have been staggered by the attention to detail and the quality of what they have put together. I should be clear in that my technical role in StaffPad has been small – I have answered a few technical questions for the guys here and there but it was nothing they couldn’t figure out on their own and probably faster than I could. Where I have tried to help StaffPad in a bigger way has been in trying to promote the application inside of Microsoft. I first saw the app around a year ago and wanted to put effort into seeing if I could get it into the hands of the Surface team, the Windows team and anyone else that could be blown away by it. That work is ongoing!